If you have trade marks you probably know about the “use it or lose it” provisions. In order to maintain your trade mark registration you need to continue to use your registered mark in the course of trade for the goods and services to which the registration relates. 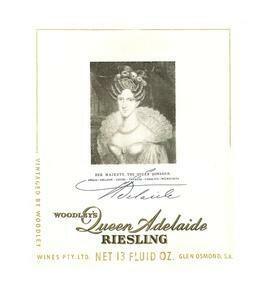 However, the recent decision of the Australian Trade Marks Office in relation to the trade mark WOODLEY’S QUEEN ADELAIDE RIESLING (Queen Adelaide Case) has demonstrated that it is possible to retain the registration of a trade mark despite there being no relevant use of the mark in limited circumstances, as explained below. Section 92(4)(b) of the Trade Marks Act 1995 (Act) provides that if the registered owner of a trade mark does not use their trade mark in Australia in relation to the goods and services to which the registration relates for a continuous period of 3 years another party may, after one month, apply to have the unused trade mark removed from the register. The burden of rebutting any allegation made under Section 92(4)(b) is on the owner of the registered trade mark, who must show that it has indeed used the trade mark. The requirement for use, and the non-use provisions, are a fundamental principle of Australia’s trade mark laws and have been often applied. In some cases, even use of the mark has not been enough; such as the case of the WILD GEESE WINES trade mark discussed in the article in our 2016 Spring Report. Here a licensee was actively using the trade mark, but the trade mark owner’s mere right to control, without any actual control, was not sufficient use to prevent removal of the mark. The possibility that a trade mark can be removed is common, even in countries like China where the trade mark system is on a first to register basis. Modern Ancient Brands wished to register WOODLEY as a trade mark in relation to wine, but its application had been rejected under section 44 of the Act as being substantially identical or deceptively similar to the Trade Mark. The removal of the Trade Mark for non-use would, therefore, allow its trade mark application to proceed. Although, it is interesting to note that Modern Ancient Brands had rejected an offer for its trade mark to co-exist with the Trade Mark. The Trade Mark owner, Make Wine Pty Ltd (Make Wine), no longer produced and sold wines with the Trade Mark. The only possible use of the Trade Mark during the relevant 3 year period was the sale of a small number of bottles of wine bearing the Trade Mark through wine auctions. The argument advanced for use of the Trade Mark in the Queen Adelaide Case was that the auction of the Queen Adelaide wine constituted sales in a secondary market amounting to use of the Trade Mark. The enquiry turned on whether the use was in the course of trade, presumably by Make Wine. Modern Ancient Brands’ position was that the wine had been purchased for private use and had left the market place. Therefore, when then sold at auction, it was not use of the Trade Mark in the course of trade. The Delegate of the Trade Mark Registrar, who was the decision maker in this case, found that the sales of the Queen Adelaide wines through wine auctions did not constitute use of the Trade Mark by Make Wine in the course of trade. This was essentially based on the finding that the wines were bought by individuals for their private consumption rather than for the purposes of investment or resale. Their sale many years later in small quantities for marginal prices (of $2 to $3 per bottle) indicated that the wines did not remain in the course of trade. How did Make Wine Retain its Registration of the Trade Mark Despite this Finding of Non-Use? The Delegate, upon Make Wine’s request for the Registrar to do so, exercised the discretion of the Registrar in section 102(3) of the Act not to remove the Trade Mark from the Register even though the grounds on which the application for its removal were established. The Registrar was entitled to make such a decision if the Registrar was satisfied that it was reasonable to do so. The Delegate considered there were sufficient reasons for exercising the discretion and maintaining the Trade Mark on the Register. While Make Wine’s “significant and enduring” reputation in its QUEEN ADELAIDE branded wines was a leading consideration, even greater importance was placed on its current sales of wine under a new label that was considered to be deceptively similar to the Trade Mark. The new label did not contain WOODLEY which, you will recall, was Modern Ancient Brands’ desired mark. However this was considered not to be relevant as this case was about the use and reasons for retaining on the register the Trade Mark. An important recognition was made in the Queen Adelaide Case that traders commonly update and alter their trade marks to keep up with the times. It may be expected that such changes might come within section 100(3)(a) of the Act. This provides that an allegation of non-use can be rebutted where a trade mark, which has been altered or added to in a way that does not substantially affect its identity, has been used in good faith. This provision was not referred to in the reasoning in the Queen Adelaide Case, presumably because the new wine label was a substantial change to that represented by the Trade Mark. This decision suggests that, even where there are substantial enhancements or alterations, there may be scope for traders to retain previous versions of their updated trade marks. This offers some comfort for traders that continued protection may be afforded for older marks when refreshing and modernising their trade marks, particularly if a substantial reputation can be associated with the trade marks. 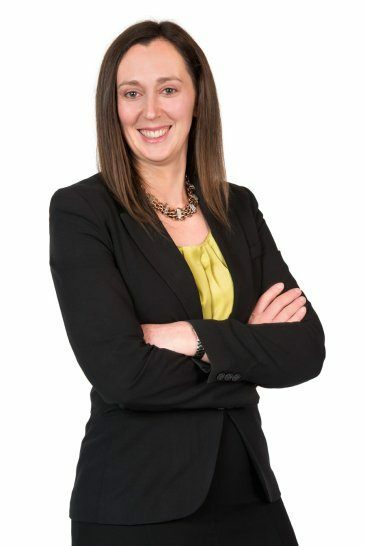 Although the decision in the Queen Adelaide Case is encouraging for those with trade marks with a long-standing reputation in the market place and, possibly, for traders seeking to modernise a trade mark, the decision did depend on the exercise of a discretion of the Registrar. It remains important to be vigilant in ensuring you are using your trade mark and that you seek advice on marketing any updated versions. Make Wine Pty Ltd v Modern Ancient Brands Pty Ltd  ATMO 17 (24 February 2017). There are slightly different grounds under section 92(4)(a) of the Act for removal where there is claimed to have been no intent to use the trade mark at the time it was applied for. Section 100 of the Act. Lodestar Anstalt v Campari Inc  FCAFC92.